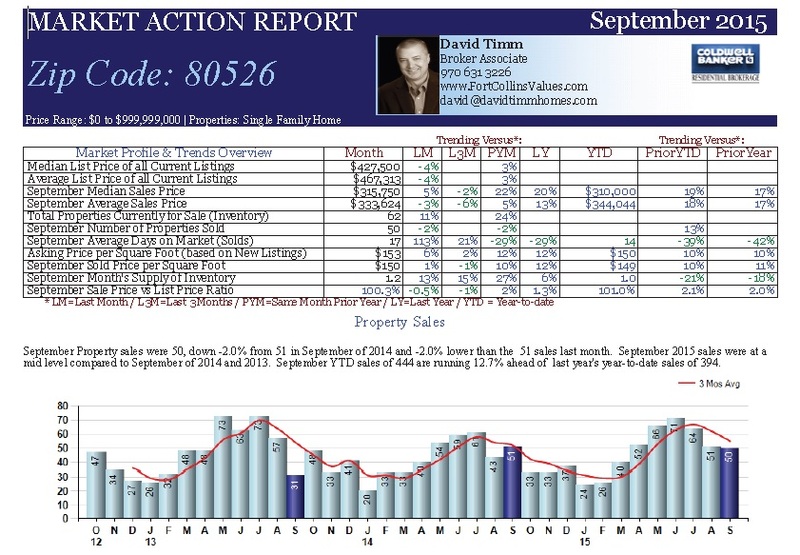 Fort Collins Colorado Market data for 80526 September 2015. Data Shows average sale price up 17%. What does that mean? Check out all the numbers. Lets talk!